Admit it, you're not as careful as you should be in the kitchen. If I manage not to hurt myself for a week straight, I start becoming more careless. For example, a few months ago, I almost cut my finger off when my cutting board slipped. I nearly had a heart attack. But that didn't stop me from thinking of a better solution to keep my board in place. You just hope for the best. We always warn our kids about kitchen safety, now it's time to practice what we preach. 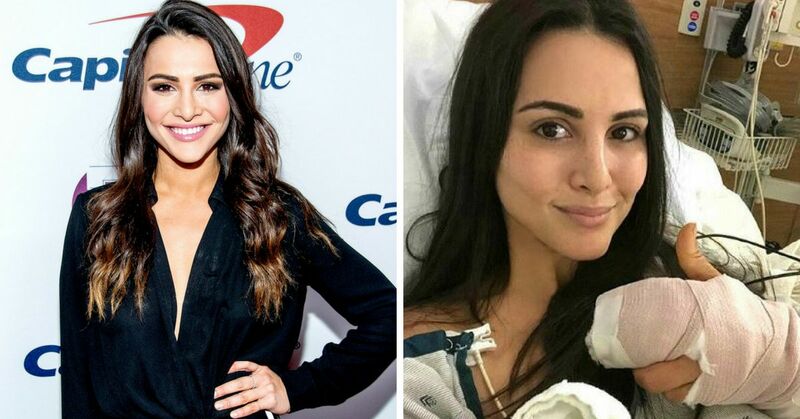 A former The Bachelor and The Bachelorette star, Andi Dorfman, suffered a kitchen accident that is actually quite common. The only reason you may not have heard of it is because you haven't encountered it yet. The culprit is a seemingly innocent fruit: the avocado. "It’s all fun and games until the avocado decides to run off with your finger," she posted to Instagram. Andi underwent surgery to get her tendons and nerves reconnected. Andi's not the only one who has experienced this kitchen nightmare. Others commented about their own kitchen accidents in attempts to make a delicious guacamole. Even one of the hosts on The View recently suffered the same injury. "I still have the scar from stabbing through my hand 13 years ago. Every time I slice an avocado to this day my husband says, 'be careful remember what happen[ed] last time,'" one person wrote. "This happened to me! Knife, avocado and the[n] there went the finger," wrote another. "I probably needed surgery I still have nerve damage," someone else commented. 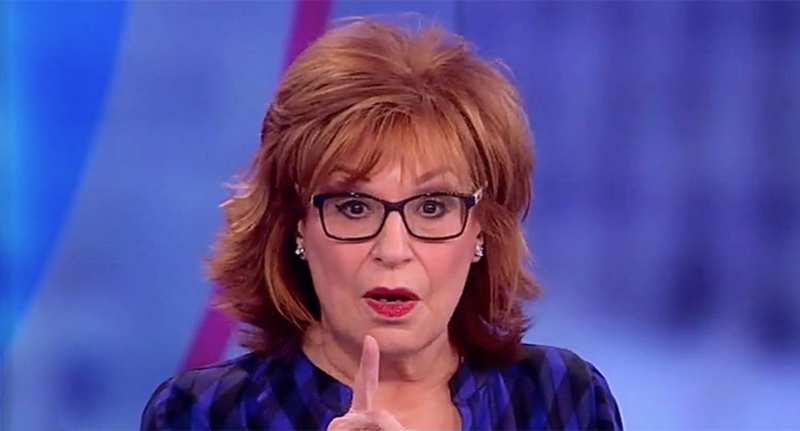 Joy Behar was also recently hospitalized for accidentally stabbing herself when trying to cut an avocado. “I was trying to desperately eat something, so I was trying to open up an avocado and I stuck the knife into the pit to get it out … and I stabbed myself,” she shared on The View. Some doctors are advocating for warning labels on avocados: “We don’t want to put people off the fruit, but I think warning labels are an effective way of dealing with this,” British plastic surgeon Simon Eccles told The Times. 1. 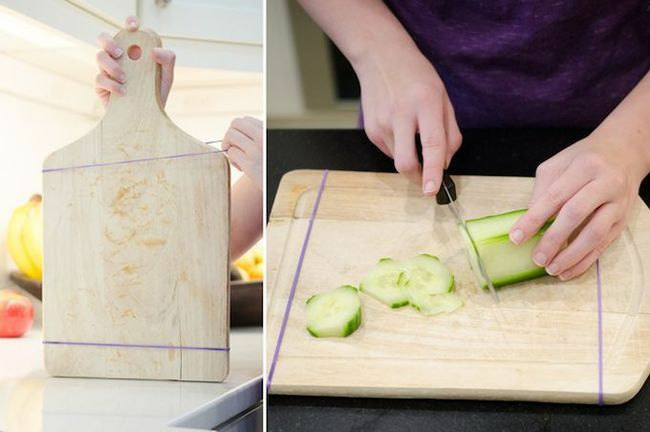 Wrap two rubber bands close to the edges of your cutting board to prevent slips. 2. 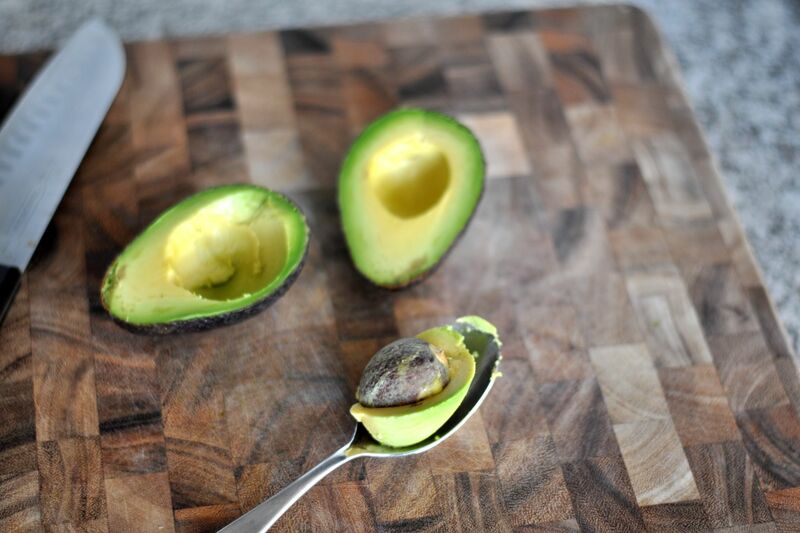 Lay your ripe avocado on its side. 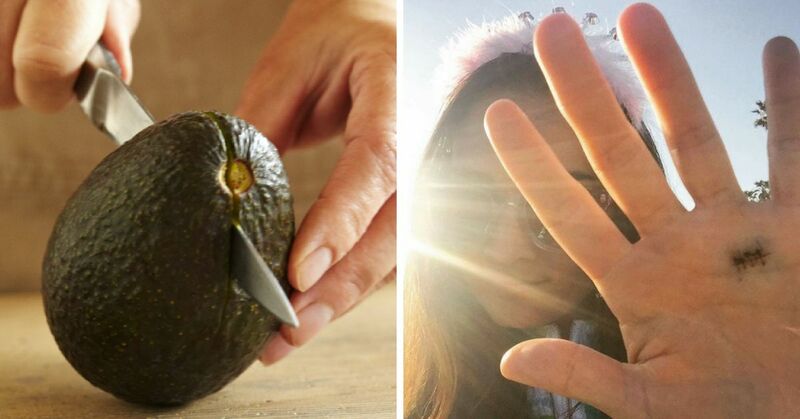 Hold the avocado with your fingers on the top. 3. Cut it around the seed, then rotate to cut the other side. 4. Twist to remove the seed. If that doesn't work, scoop it out with a spoon. Never stab the seed with the knife to try to remove it. 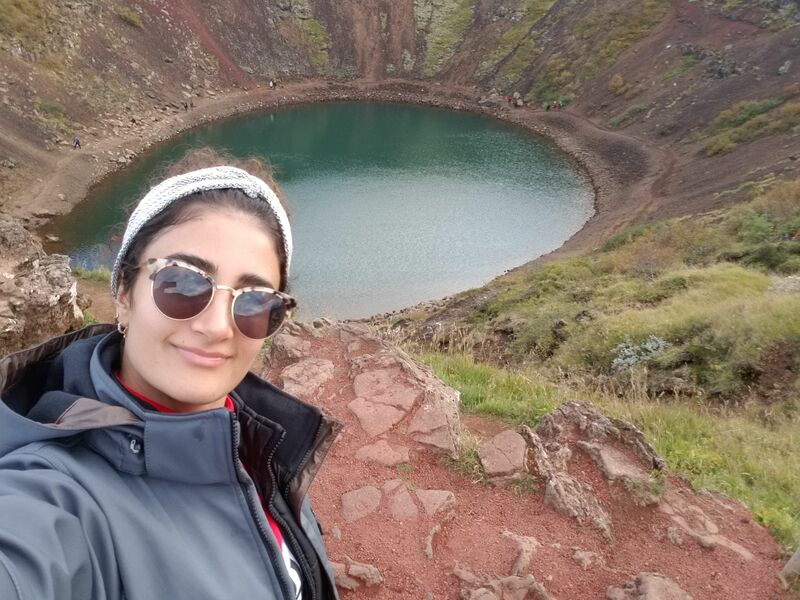 Share Andi's story to raise awareness! Do you think avocados should come with warning labels? Stay safe on vacation by following these 11 steps.